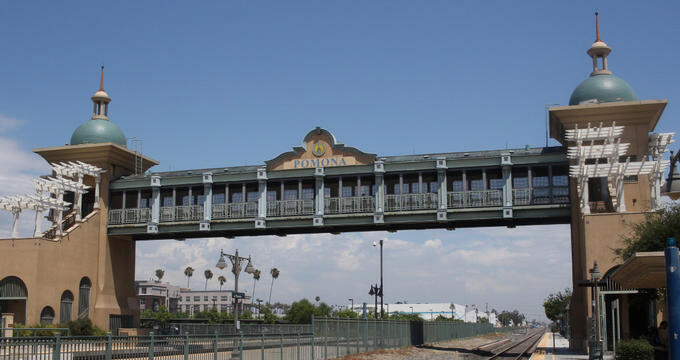 Set between the Inland Empire and the San Gabriel Valley in the Pomona Valley, Ponoma is a charming Californian city that is home to many historical sites, cultural attractions, and outdoor recreational pursuits. For automobile-lovers and motorheads, the Wally Parks NHRA Motorsports Museum and the Auto Club Raceway provide hours of fun, while the American Museum of Ceramic Art and the Rail Giants Train Museum will keep history buffs occupied for hours. 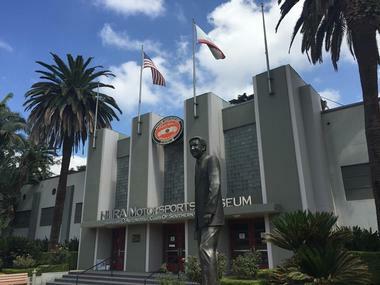 Located in the Fairplex, formerly called the Los Angeles County Fairgrounds, the Wally Parks NHRA Motorsports Museum is dedicated to all things drag racing and houses a collection of automobiles, motorcycles, and memorabilia related to the sport of hot rodding. Named after the founder, Wally Parks, the Museum is based in a 28,500-square-foot building on the grounds of the Fairplex and has been sharing a passion for automobiles and hot rodding for more than 20 years. Exhibits at the museum include a helmet and photo collection of Bob McClung, one of A. J. Foyt's Coyote Indy Cars, the first dragster car to drive faster than 300 mph, and a selection of artifacts and memorabilia from the Indianapolis 500. The museum also hosts a special exhibition dedicated to Gale Banks and his contributions to the sport of drag racing. 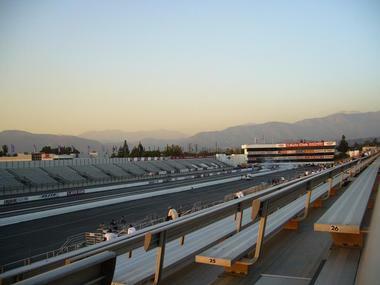 Auto Club Raceway at Pomona, also known as Pomona Raceway, is a racing facility that features a quarter-mile dragstrip. Established in 1961, the dragstrip has a seating capacity of 40,000 spectators and hosts several major drag races throughout the year, including the traditional season opener of the Winternationals event and the season's last competition, the NHRA Finals. Nicknamed ‘The Fairplex’ due to its location at the Fairplex, which were formerly known as the Los Angeles County Fairgrounds, the Auto Club Raceway hosts a race every weekend throughout the year. The Cal Poly Pomona Farm is a family-friendly working farm that produces a variety of fresh produce which is sold at the on-site farmer’s market and grocery stores and offers a range of farm-activities such as a petting farm and hay rides. The farm hosts numerous events throughout the year, including flower sales, pumpkin patches and more for the whole family to enjoy, and the petting farm provides children with the opportunity to interact with different animals, including rabbits, goats, sheep, rabbits, and a dairy calf. 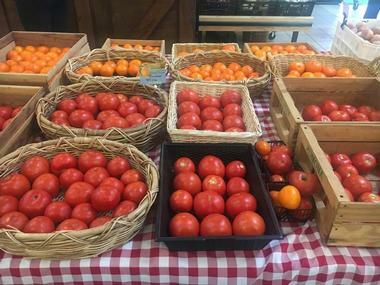 The gift shop sells a range of farm-related gifts and souvenirs, gift baskets, wine, and cheese baskets and more, and fresh produce, such as fruit, vegetables, and herbs can be purchased at the farmer’s market. The American Museum of Ceramic Art (AMOCA) is dedicated to educating and inspiring an interest in the art, history, creation, and technology of ceramics. Founded by David Armstrong in 2003, the museum hosts a variety of exhibitions and collections of ceramic art throughout the year, as well as educational and outreach programs for students and the public. 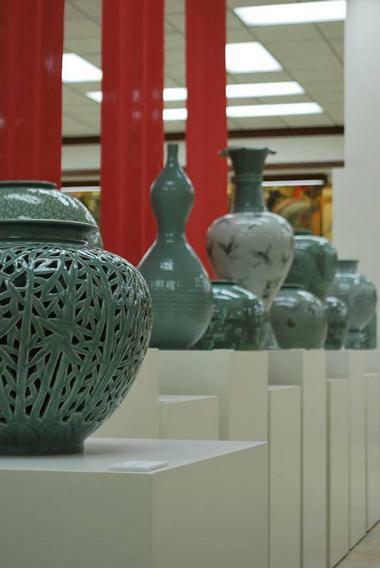 The American Museum of Ceramic Art has a permanent collection that consists of more than 7,000 pieces, including ancient vessels from the Americas, Mettach ceramics, functional and sculptural contemporary ceramics, Southern California dinnerware, fine porcelains of Asia and Europe, factory-made ceramics, and industrial ceramics. The museum also houses a research library with more than 3,000 books, exhibitions catalogs, technical handbooks, along with 2,000 periodicals and over 4,000 monographs. 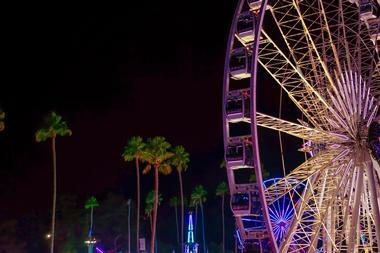 The Los Angeles County Fair is an annual county fair that is held each September on the 543-acre fairground known as the Fairplex and is one of the largest county fairs in the U.S. Founded in 1922 and visited by more than a million people every year, the show focuses on California’s heritage and prosperous agriculture industry and features a wide array of activities, entertainment, and delicious food. The Fair boasts a 13-acre carnival, an outdoor miniature garden railroad, an operational farm, California’s Heritage Square historical exhibit and America’s Kids-Education Expo, which provides children with the opportunity to learn through play. Other forms of entertainment include the ‘End of Summer Concert Series’ which features 19 nights of first-run musical entertainment and freestyle motocross. Innovation Brew Works is a unique educational brewery-restaurant located in the Innovation Village Research Park on Cal Poly Pomona campus that features a learn-by-doing educational laboratory for Cal Poly Pomona students, a microbrewery, and a casual café. 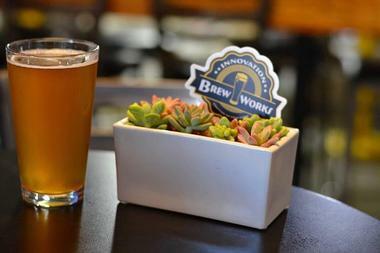 Founded to provide students, alumni, faculty and the general public the opportunity to gain hands-on experience with brewing and brewpub operations at the brewery, Innovation Brew Works produces a range of beers using locally grown ingredients which are named after prominent figures of the university, as well as the city of Pomona. The café at the brewery serves a selection of light fare and snack food, and visitors can purchase Innovation Brew Works-related apparel, pint glasses, and refillable growlers. Located in the Fairplex, the RailGiants Train Museum is a historic railroad museum that takes visitors on a journey back in time to the glory days of the American Railroad. Managed by the Southern California Chapter of the Railway and Locomotive Historical Society, the museum features a variety of railroad-related exhibits and displays, including the historic Atchison, Topeka and Santa Fe Railway train station, which was built in 1887 in a gingerbread Victorian-style architecture and features a collection of ‘railroadiana.’ The museum also houses some of the country’s most well-preserved locomotives, including two 3-Cylinder steam locomotives and a Union Pacific “Centennial” diesel locomotive. In addition to the station and the engines, the museum also features a library archive historical and a gift shop. 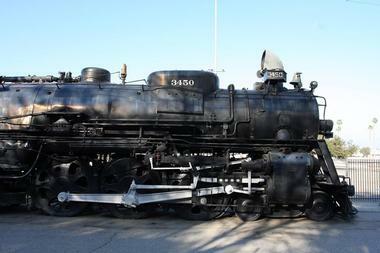 The RailGiants Train Museum is open to the public the second weekend of each month. Resting atop a tree-covered hill on the northern side of the Cal Poly Pomona campus, Kellogg House is a historical ranch-style estate that was built in 1926 by W.K. Kellogg as his West Coast retreat. Designed by renowned architect Myron Hunt in a ranch-style, the 8,777 square foot house boasts sweeping views and elegant architectural accents and exudes historic charm. The house is surrounded by lush landscapes designed and laid out by distinguished landscape architect Charles Gibbs Adams and is the perfect venue for special occasions such as weddings, birthday parties, corporate meetings, and other special events for up to 200 people. 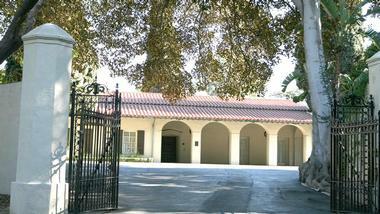 Kellogg House is also open to the public for tours. 9.The Old Stump Brewing Co.
© The Old Stump Brewing Co. 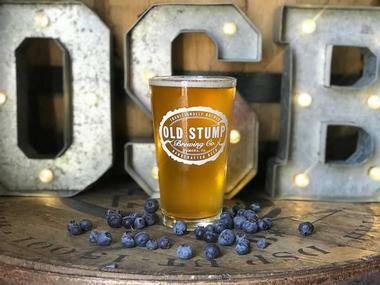 The Old Stump Brewing Co. is one of the Inland Empire’s newest craft beer production breweries and tasting room. Located in the Metropolitan Place, the brewery produces a large selection of handcrafted beer, including light beers such as Blonde Conniption, Muffin Top, Passionate Blonde, and Jalapeñobiznes Blonde. Other brews on the tasting list include Red Hammock – Grapefruit IPA, IPA, Double IPA, and Disarray IPA, while specialty beers include Rusty Gasket – Red, Brown Ale, Milk Stout, and P-Town Porter. The tasting room offers a comfortable atmosphere for indulging in new experiences, tasting new flavors, and enjoying great music, and the brewery sells a range of beer-related merchandise. 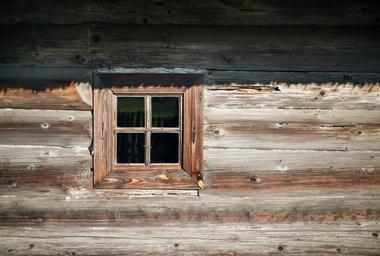 The Old Stump Brewing Co. is open from Thursday through Monday in the afternoons and evenings for tastings and tours. 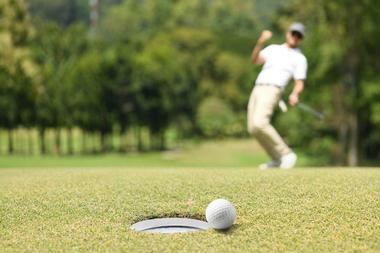 Nestled in the hills of the San Gabriel Basin just 25 miles east of Los Angeles, the Mountain Meadows Golf Course is a 6,440-yard, 18-hole championship golf course that offers a challenging game for all levels of golfer. Surrounded by towering jacaranda trees and other native foliage the pristinely manicured course features several unique holes with relatively blind tee shots, elevation changes, and sidehill lies designed to offer an unrivaled golfing experience. The golf course has a casual restaurant and bar that serves a creative food menu, state-of-the-art beers on tap and bottled beer selection, large flat-screen televisions for watching sports games, and a charming garden patio with gorgeous views over the course. The Pomona Valley Mining Company is an elegant lodge and banquet facility situated on a hill above the city with spectacular panoramic views. Boasting a rich history dating back to the gold mining era in the Pomona Valley, the Pomona Valley Mining Company is now a beautiful restaurant decorated with original artifacts from the mines, large crackling fireplaces, soft lighting and amazing views of the valley below. The perfect venue for special occasions such as weddings receptions and celebrations, the Pomona Valley Mining Company also offers intimate dinners and relaxed Sunday brunches and has a full-service bar with an extensive list of globally-inspired wines, handcrafted beers and ales, imported spirits, and signature cocktails. Tropical Mexico is a colorful, vibey restaurant that serves traditional Mexican food and drinks in a pleasant, friendly atmosphere. Hailed as ‘one of the area’s great Mexican restaurants,’ Tropical Mexico is a favorite spot for great Mexican food, traditional tequila, and a fun ambiance. The menu features favorites such as fajitas, tacos, nachos, quesadillas, enchiladas, burritos, meat, and seafood entrées, and more, accompanied by an extensive list of libations including globally-inspired wines, craft beers, tequilas, margaritas, and other cocktails. 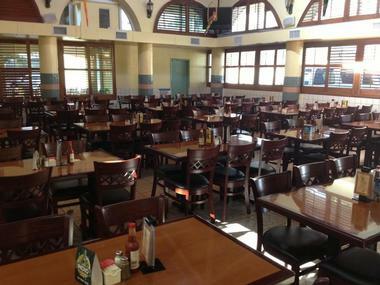 A charming outdoor patio can accommodate up to 120 guests, and the family-friendly restaurant is open for breakfast, lunch, and dinner, seven days a week. Corky's Kitchen & Bakery is a friendly, neighborhood chain serving breakfast, classic American fare & homemade pies in a casual setting. Inspired by Grandma Corky, owners Mike and Jennifer Towles opened Corky's Kitchen & Bakery in 1999 and has been serving the community with freshly baked bread cakes, cookies, and pastries, as well as a wide variety of tasty homestyle entrées ever since. Prepared from scratch using secret recipes and only the freshest, locally sourced ingredients, dishes are prepared and served with love in a warm and welcoming atmosphere. 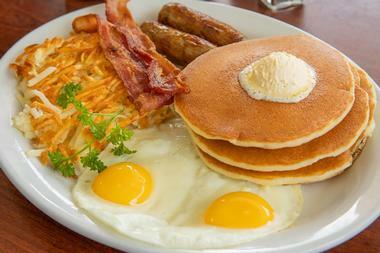 Corky's Kitchen & Bakery is open for breakfast, lunch, and dinner, seven days a week. The Old Stump Brewing Co., Photo: The Old Stump Brewing Co.